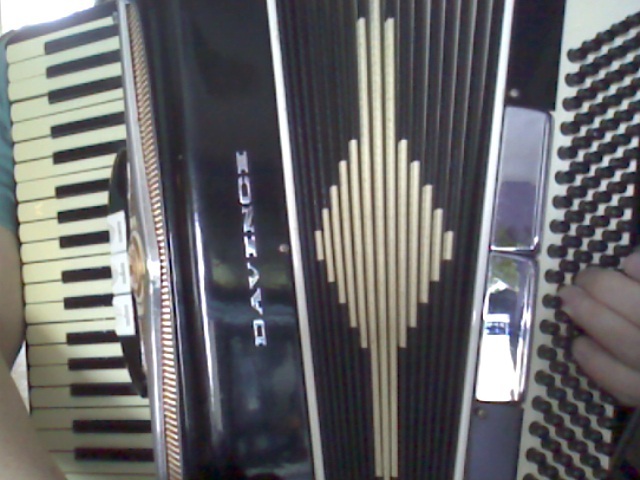 With my sister away for the weekend, I thought this would be a good time to haul out her accordion and see if I could still play some music on it. Nevertheless, I do believe that Mona was glad to see me. And I’m of the opinion that if I could put in a little practice time, I could work up a passable version of, if not “Lady of Spain I Adore You,” at least “Delores Waltz”. 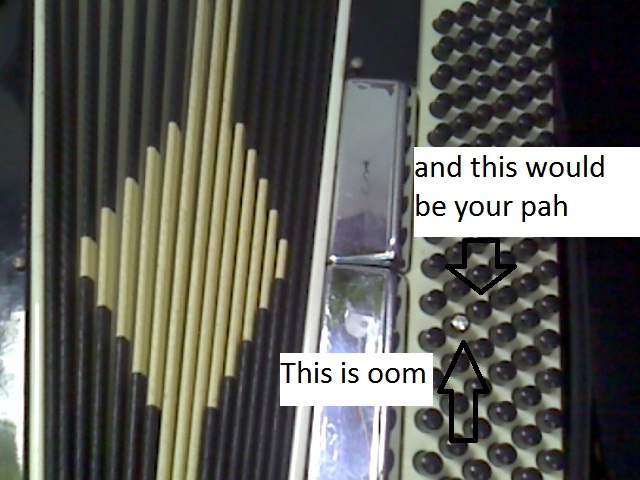 In a nice example of sheer synchronicity, Catherynne Valente wants to learn the accordion, and has acquired one. This doesn’t actually surprise me… the accordion is a fantastical instrument, suitable for a fantastical author like Ms. Valente. It is weird, wonderful, half magic and half steampunk. Seriously, folks. What did computer programmers do before there were computers to program? See that daunting array of buttons on the left? Absolutely, completely, wonderfully logical. Each of those buttons is a solution. Collectively, they solve for the entire range of possible harmonic structure. With an accordion, you can sound as if you have eight hands — or click a tab, and sound like a lonely clarinet, a lost calliope. Click again, and you’re an oom-pah band. And the bellows? The accordion breathes. If you breathe, you’re alive, and if you’re alive, you have passion. Weep, scream, whisper. Stamp your feet and shout for joy.